You might want to consider supplementing your chicken feed with some great plants around your garden. Besides saving you money, these plants sampled here have a high nutritional value and they are good for your chicken. Having a flock of backyard chickens means fresh eggs, entertainment, and a sense of self reliance. Feeding those chickens doesn’t have to be hard, or even expensive. Most of the time, a good quality chicken feed that you find at the local farm supply store will be sufficient. However supplementing chicken feed with plants could be good for the chickens, and your pocket too. The great thing is that you can actually grow some of these plants right in your backyard garden. 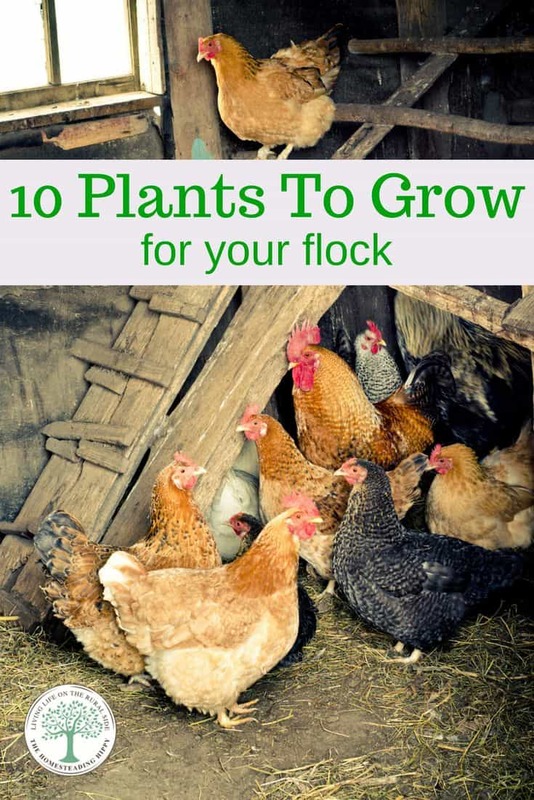 Take a look at some of these plants that you can grow to supplement your chicken feed. Sweet corn is a delicacy your chicken will love. You can give them the ears right from the garden, or the leftovers after canning. Chickens will also love those ears that might be overripe. In the heat of the summer, tossing a few kernels of corn into a muffin tray, filling with water and freezing before giving to the chickens will give them a cool treat. To see some tips on canning and freezing sweet corn for your family, read the post here. Growing sunflowers will give you large heads with lots of tasty seeds. You can dry them out for you and your family, or give them to your chickens. Some chicken owners simply break the sunflower heads apart and give them to the chickens fresh. Dry at 175 degrees F for at least 6 hours. They are done when they are crispy and “snap”. Growing pumpkins in your garden makes for some tasty treats for the family. Chickens will also enjoy the seeds. As a bonus, the seeds can provide natural de-worming and parasite control for the chickens. When planting pumpkins, you will want to grow them in hills. Space the hills at least 3 feet apart in rows 3 feet apart. Plant 5-6 seeds in each hill and cover with 1 inch of soil. Thin seedlings to 2-3 per hill when they are 2 inches high. Harvest the pumpkin by cutting 2 inches above the stem with sharp knife. You can give the chickens a cut pumpkin fresh from the vine. Often known as “yardus interuptus” as it will take over anywhere it can, mint will provide a natural insect repellent for your chickens. Toss a few fresh leaves in their nesting boxes and in their coop for a sweet smell, too. When growing mint, be sure to plant in a container. Mint WILL take over where the roots can reach. Tilling it up is not an option when it spreads, as the roots will continue to keep going. To see how to harvest and dry mint for tea, read the post here. Also natural parasite control for chickens, cucumbers are already in most home gardens. Add an extra plant near your chicken run and allow the vines to climb over fencing. This will give the chickens a treat fresh off the vine, anytime. When planting cucumbers, plant in rows with 12 inches of spacing. Plant seeds 1 inch deep, directly into the ground, as cucumbers generally do not like to be moved. Even on a small homestead, you can grow wheat. 1,000 square feet will yield you a bushel of wheat berries. However, since most of us don’t have that kind of space, you can plant seeds in rows 1 inch apart, and seeds 1 inch deep and harvest enough for a treat for your flock. For a 25 square foot bed, you can get up to 550 plants. It’s not usually recommended that wheat is grown in a container, as it rarely yields enough harvest for the time and space investment. 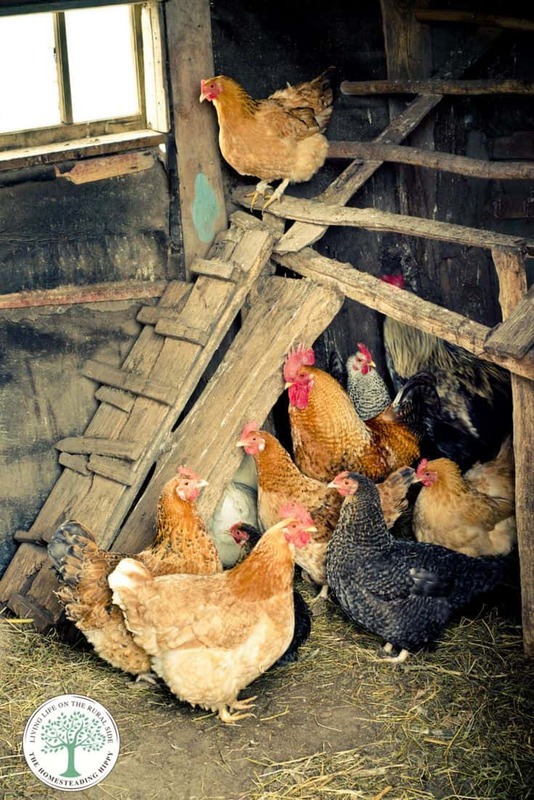 To see how to make your own chicken feed, read the post here. Another great insect repellent, this bright yellow-orange flower is known to be one of the best garden companions out there. They are thought to help make the yolk a brighter color when you scatter some petals throughout their run. Calendula also has medicinal value for humans, and makes a great tea. To see how to make a skin soothing salve using calendula, read the post here. Highly nutritious and well loved by chickens, alfalfa is common among many homesteaders for all their livestock. A cool season crop, it’s highly nutritious and a natural source of green fertilizer, adding nitrogen to the soil. To plant alfalfa, plant in rows 18 inches apart, and gently broadcast seeds. Cover with 1/2 in of loose soil and water well. Thin to 1 inch when seedlings reach 6 inches in height. To feed alfalfa to your chickens, it will need to be harvested and dried before it blooms. It may be harder to digest as the plants mature. The best practice is to not harvest when rain is coming, as it can damage the entire crop. A head of cabbage hung by a rope in the coop will make a great toy for your chickens to peck at. Chickens will peck at the heads, getting a leafy treat while warding off boredom. Great for partial shaded areas of the garden, cabbages make a great fall planting. Late cabbages can be started in mid summer, and seedlings planted 12 inches apart. If you choose to direct sow the seeds, plant 1/2 inch deep and thin to 12 inches when the seedlings are 3 inches high. Harvest cabbages after the first light frost by using a sharp knife and cutting to 1 inch above the ground. You can harvest anytime after the heads form, typically after 40-50 days. To see how to make a chicken swing and other great gift ideas for your flock, read the post here. A common weed that you can find in nearly any open area, and in many backyards, chickweed is a floppy plant that grows in “mats” low to the ground. It will have tiny white flowers with deeply notched petals. Allowing some chickweed to take over an area will provide a delicious, mildly sweet treat for your flock to peck at. Chickweed also can be foraged for and brought home as a treat for you and your flock. What plants do you grow in your chicken garden? What is your favorite to give to your flock? Be sure to pin this for later!